Built for unparalleled results, Eclipse Car Wash is not your typical, off-the-shelf car wash. Designed from the ground up, using solar power generation, water reclamation and the best wash processes. Eclipse combines state-of-the-art equipment with environment-loving detergents to ensure a clean car and clean environment. With FREE VACUUMS and mat cleaners, you can be sure your vehicle is clean both inside and out. 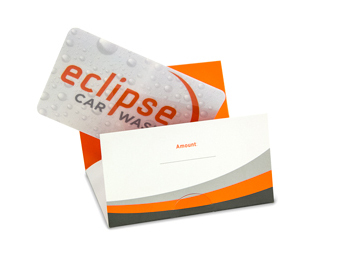 To top it all off, Eclipse offers the Unlimited Wash Club – three easy and convenient ways to enjoy a clean car. We do our part for you – and the environment – to keep things clean, one car at a time. Eclipse is a proud member of WaterSavers®, a recognition program from the International Carwash Association designed to promote environmentally responsible business practices. Visit washwithwatersavers.com for more information. 90 seconds is all it takes, drive your car in dirty and leave clean and dry, it's that simple. Select from one of our four washes at our automated kiosk and let Eclipse do the rest. We know the science behind washing a car. From presoaks to grills and contour brushes, to high pressure blasters and hot wax, then our tire shine and heated drying top everything off. Eclipse brings a custom, convenient way to keep your car looking its best. With our FREE VACUUMS and mat cleaners, the inside will look as great as the outside.